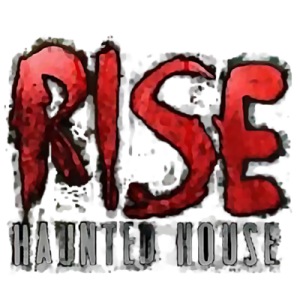 Rise Haunted House is a Haunted Attraction located in Tickfaw, LA. Team Giraffic Shark reviewed this attraction on October 13, 2017. Travel up to Tickfaw, Louisiana where evil is on the RISE. 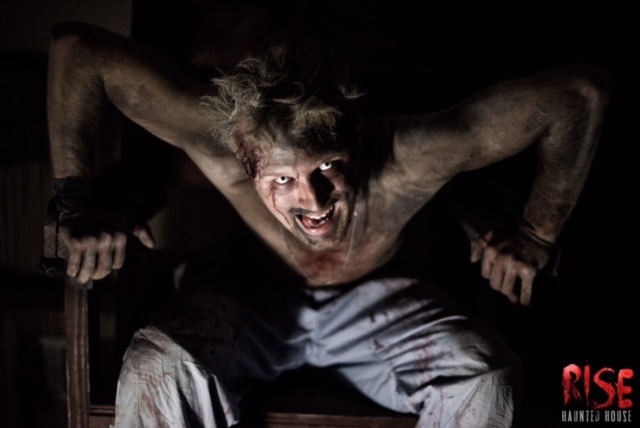 At RISE HAUNTED HOUSE, three major attractions await. 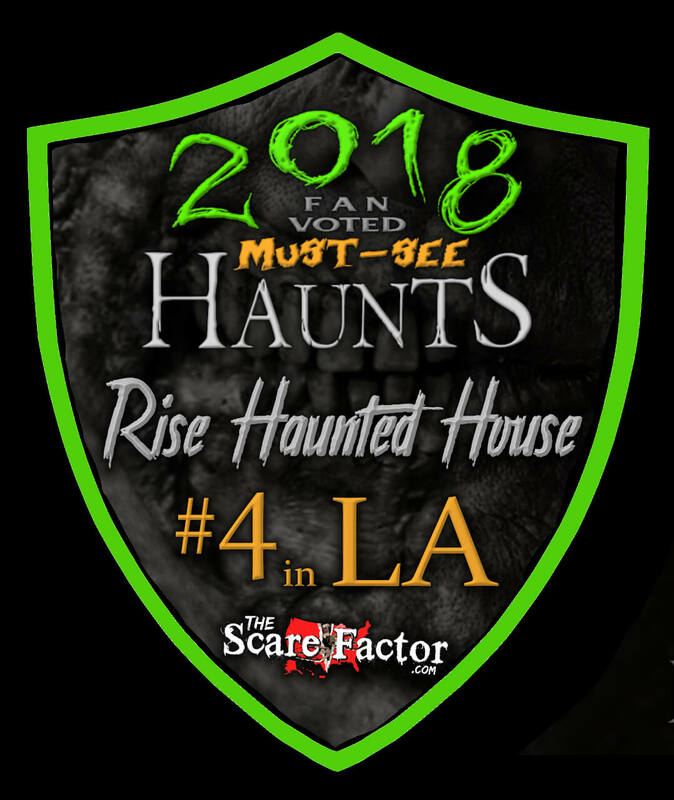 This includes the action packed, scare slammed DARK SOULS UNLEASHED haunted house, highly interactive and creepy RISEWELL ASYLUM interactive theatrical experience, and a fun ZOMBIE PAINTBALL experience where Guests get to hurl paintballs at unsuspecting zombie victims from a double decker military truck. There are also several mini escape games as well as a mechanical bull to make the fun last all night long. The creative team at RISE is dedicated to creating realistic theatrical sets with a great level of detail and immersive atmosphere around every corner. The actors bring these sets to life through dedicated performances delivering dialogue, scares, and creep out factor by lurking around every corner. 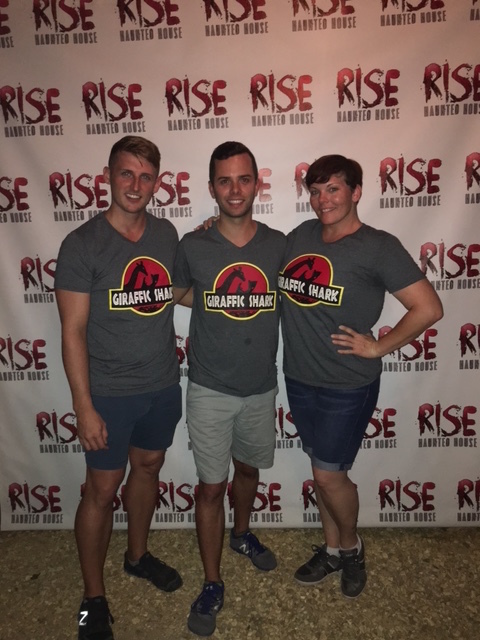 Overall, RISE provides an evening filled with entertainment and great scares along with a rollicking good time in Tickfaw, LA, a short drive from Baton Rouge and New Orleans. The Cast of RISE holds the responsibility for making this haunt as successful as it is. In RISEWELL ASYLUM, the experience is extremely Cast driven, and the Cast takes it by the wheel and doesn’t let go until the final destination has been reached. The young nurse who welcomes Guests to RISEWELL ASYLUM has a perfect frenetic energy matched with the chaotic Christopher (and his other friends) and truly creepy Doctor. From there, the journey through the asylum is matched with every possible character type. The young patient in dire need of an exorcism filled her scene with captivating movements and indiscernible dialogue, making a one-woman scene completely engaging. As this haunt was a “touch” haunt, she perfectly utilized spatial awareness and close proximity to interact with Guests in a unique way, ignoring the boundaries of personal space. 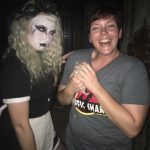 The entire experience was filled with these types of interactions, perfectly utilizing proximity and touch to create an atmosphere unlike typical haunted attractions. 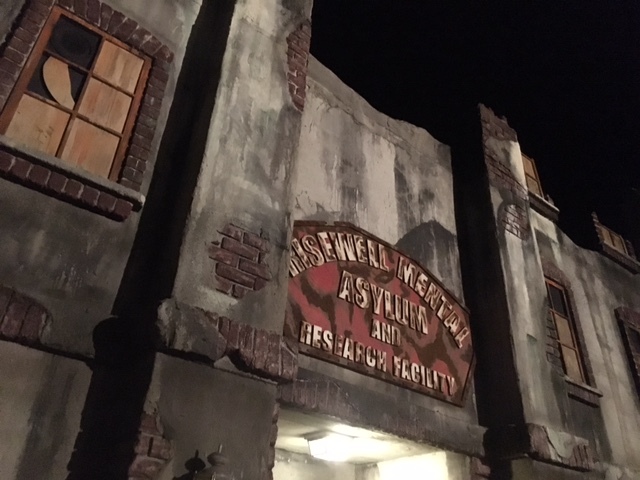 The cast’s dedication to storytelling and script helped move along the attraction, making this attraction more of a theatrical experience, also unlike the majority of other haunted attractions, and certainly not like one we have had the pleasure to visit (especially to this success level). Throughout all attractions, Cast is dedicated to their craft, whether delivering dialogue, creating a jump scare, or staring with creepy intensity, causing the perfect distraction element. The girl welcoming Guests into DARK SOULS UNLEASHED was a wonderful conversationalist as well, talking to Guests as well as making sure her pet rat was a part of the conversation at all times as well. Her interactions helped speed up the last few minutes in the queue prior to entering the haunt. 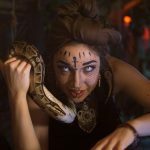 Within the haunt, notable mentions go to the snake lady and her creepy intensity as well as the ‘lizard keeper’, working several areas of the haunt and warning Guests of his little friend ahead. 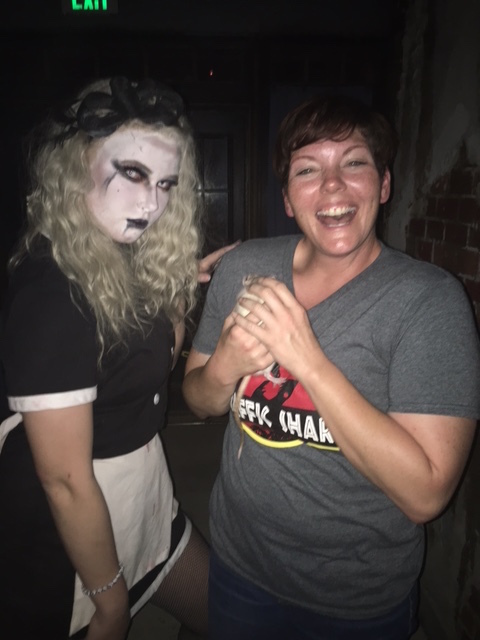 The entire cast of the cemetery worked as a team to deliver effective team scares, pinballing Guests through the narrow pathways of the cemetery and open crypts to high effectiveness. The costumes of RISE were thorough, and complete without being overly detailed. They work very well for the context within the attractions, without ever feeling out of place or unfinished. Makeup was similarly thorough without being over the top and heavy handed. Especially for close range bright light interactions in RISEWELL ASYLUM, the makeup works well without feeling forced. 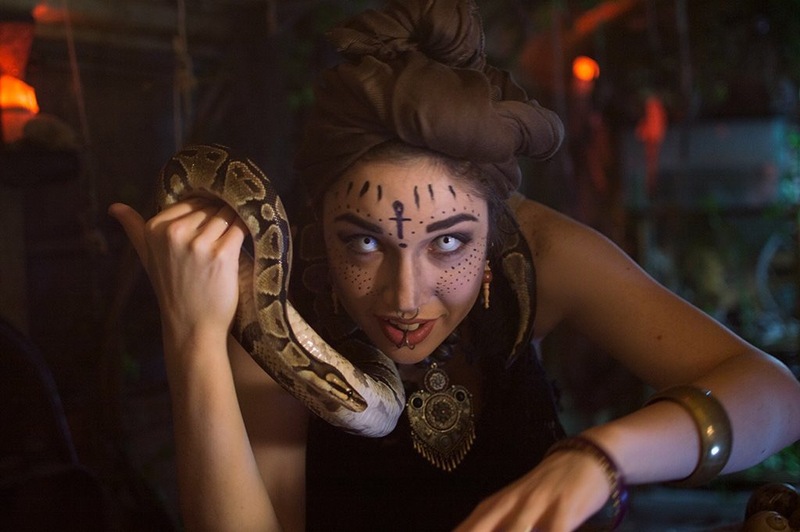 One very effective effect is the transformation through lighting and makeup of the Voodoo Priestess and her snake. This simple and subtle effect is extremely effective in causing a transformation right in front of Guests’ eyes. The Staff at RISE was helpful, overall courteous, and easy to find. However, the Staff in places seems a little relaxed and comfortable in their environment, especially when waiting between job tasks. Staff were frequently caught having casual conversations with friends, including some choice language and discussing their job candidly, including discussion of who was working that night, and discussing the locations within the haunt loud enough for a group of Guests to hear, destroying the illusion that the creative team has worked so hard to create. Similarly, a pair of young girls on the Zombie Paintball vehicle were drinking and talking throughout the entire experience (again with choice language, especially around a young helper), distracting from the experience as a whole. That being said, it wasn’t enough to distract from the great Customer Service experienced as a whole. Great service was received from other Attractions Attendants (the young lady taking photos at DARK SOULS UNLEASHED and welcoming people to the indoor queue was great), the teams at the ticket booths, as well as our hosts for the evening. Despite the casual attitude of those mentioned above, everybody (not excluding these folks) was kind, informative, helpful, and extremely warm and welcoming. 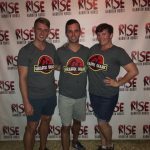 RISE has created a scare park on their property, including the two indoor haunts, the huge Zombie Paintball experience through the woods, a mechanical bull, and even a few mini escape rooms as well. The Zombie Paintball experience is unlike any other similar haunt experience we have witnessed. After boarding a double decker truck, it drives Guests through the woods to launch paintballs at unsuspecting zombies from guns mounted on both levels of the trucks. There are even a couple reload stations along the way (for a slight fee) for those trigger happy Guests. The general scare grounds are dark and surrounded by DARK SOULS UNLEASHED, the escape rooms and RISEWELL ASYLUM. There are sounds and music playing as well as lights and a general creepy yet fun atmosphere. It is definitely clear that there is haunting to be had here at RISE. DARK SOULS UNLEASHED has a good amount of special effects and animatronics mixed into its haunt, where as RISEWELL ASYLUM relies more on its actors and practical effects to provide the scares and creep out factor. The scenery in both attractions is very well done, and beautifully lit as well. The cemetery section in RISE makes it seem like Guests are outside and walking through an actual cemetery at night. If the strobe LEDs were hidden from view it could have sold the illusion of being outdoors. The subtle strobe did add to the creepy effect of the cemetery and adding to the effectiveness of the scares as well as slight disorientation. Background sounds as well as triggered sound effects are well done, effective, and appropriate. The background sounds add to the intensity and suspense building an immersive soundscape and camouflaging any sound bleed in DARK SOULS UNLEASHED. Unfortunately, there was quite a bit of sound bleed in RISEWELL ASYLUM, ruining some potential sound based scares (especially the very hard to hide electric chair effect). RISE is detailed and textured with highly themed rooms and immersive atmospheres. The creative team pays a great deal of effort toward every detail within the attractions and demonstrates a strong passion for construction, painting, and detailing their scenery. RISEWELL ASYLUM is completely immersive with its asylum theming from the time the doors open to the time Guests exit. Everything in the attraction directly relates to the theme and there are no breaks in the theme at any time in the attraction. Performers do not break character and all dialogue is thoroughly themed and fit to the show and location. The performers are also highly interactive and still do not deviate from their storyline or dialogue. (Asking Guests questions and forcing the interactions could help to establish that expectation, as it is often difficult to know when to interact). The exterior façade and background music of both attractions fits the theme of the action inside. Though DARK SOULS UNLEASHED has a complex backstory and easy to miss without reading it in advance, it does a good job at displaying this story. Even without knowing every step to the story, it still makes sense and delivers well themed immersive environments. There are a couple movie characters placed in the haunt that seem a little out of place in the RISE story, however are likely effective for Guests that are scared of those iconic horror villains. In DARK SOULS UNLEASHED, there are many effects that deliver strong scares, but perhaps the best scares come from the actors, especially in the maze-like cemetery portion of the haunt. 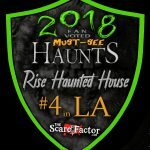 With tons of fog and strobe lights flickering, the cemetery is disorienting, filled with a variety of characters, and a good mix of distractions and jump scares. Actors work multiple locations to deliver repeat scares without ever a dull moment. Unfortunately, a lot of scares become predictable with actors hidden behind black fabric fringed curtains, a technique used frequently in the attraction to hide its performers, especially towards the beginning half of the haunt. Fortunately in the second half of the attraction, this crutch is lost, and more creative locations are used to hide actors for the most part. This is not to say that the scares are ruined, but when a strong distraction doesn’t exist, it’s easy to spot where the scare will come from at times. 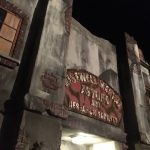 RISEWELL ASYLUM, though less scary, has some great surprise scares and effects, though again most effective in its actor driven scares and creep out factor. The actors do a great job at making sure everyone is targeted rather equally, and most, if not all of the actors touch everyone, making sure everyone gets the same experience. Overall, RISE delivers solid scares, including nice surprises and great creep-out factor. The variety of scare tactic between DARK SOULS UNLEASHED and RISEWELL ASYLUM make a more dynamic atmosphere and wider appeal than having two attractions with very similar scare tactics. With houses individually priced and a combo only existing for all 3, RISE is a good value. The best value is of course the combo ticket, saving 5 dollars off individual admission. For those not interested in paintball (though very fun), there isn’t a combo offered for both haunted houses without buying individual tickets. RISE utilizes their property well to present the various attractions while still allowing room for potential growth and expansion in the future. The attractions are very well done, making it well worth the money, though on the more expensive end overall. RISE has enough attractions to fill an entire evening, making a fun date night or friends outing opportunity. The was the best haunted attraction I have ever been too.